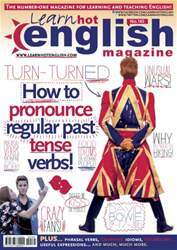 Digital Subscriptions > Learn Hot English > Hot English 165 > IS IT OK TO KISS IN PUBLIC? You’re going to read an article about public displays of affection (PDAs). Look at the list below. Which ones would be acceptable in your country? Which ones not? Which countries do you think have strict rules about PDAs? Which ones are more lenient? Make notes. Then, read the article once to compare your ideas.